Heaven sent! Seriously. This kaftan dress is the perfect swimsuit coverup and resortwear staple that looks great on soooooo many shapes! See for yourself in the photos of our Cossie Confidence Crew below! 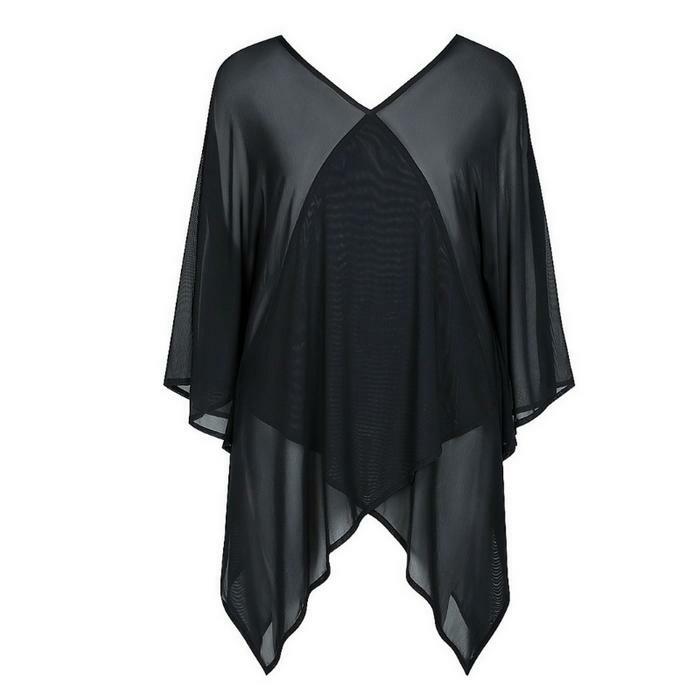 Made from a fine mesh, the fabric feels beautifully soft and light and will breathe so well in the heat. So easy to shake the sand out after a day at the beach. Then if you want to turn it around quickly and wear it as a top over jeans or shorts, it will hand wash brilliantly and dry in a flash. It's all in the fabric! Being black, this coverup will go with printed bathers brilliantly. Add a wide brim hat and a beach bag and your beach days and relaxing at the pool time is taken care of. Lightweight, soft fine mesh fabric - breathes brilliantly in the summer heat, easy to launder and shake sand out of too! Size - OS - we think best for a 12-22; possibly a 24. Care - hand wash and dry in the shade; or in a laundry bag and on a gentle cycle. Size - One Size but we think best for a 12-24.